A selection of amazing hotels to stay on the wonderful island of Sicily. 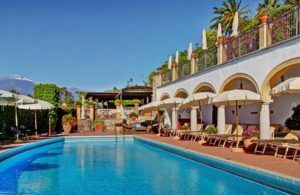 The Grand Hotel Villa Igiea brings you a 5 star hotel experience in a sumptuous and luxury villa right on the Palermo coast, the historical capital of Sicily. 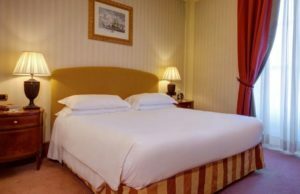 The Mercure Palermo Excelsior is luxury boutique hotel, situated right in the city centre of the vibrant city of Palermo, on the Viale della Libertà, surrounded by greenery, including the English Garden. The magnificent neoclassical facade of the Des Étrangers Hotel & Spa dominates the harbour of Siracusa in Sicily. This luxury five-star hotel has the elegance and style typical of the grand European hotels and features refined balconies overlooking the sea.